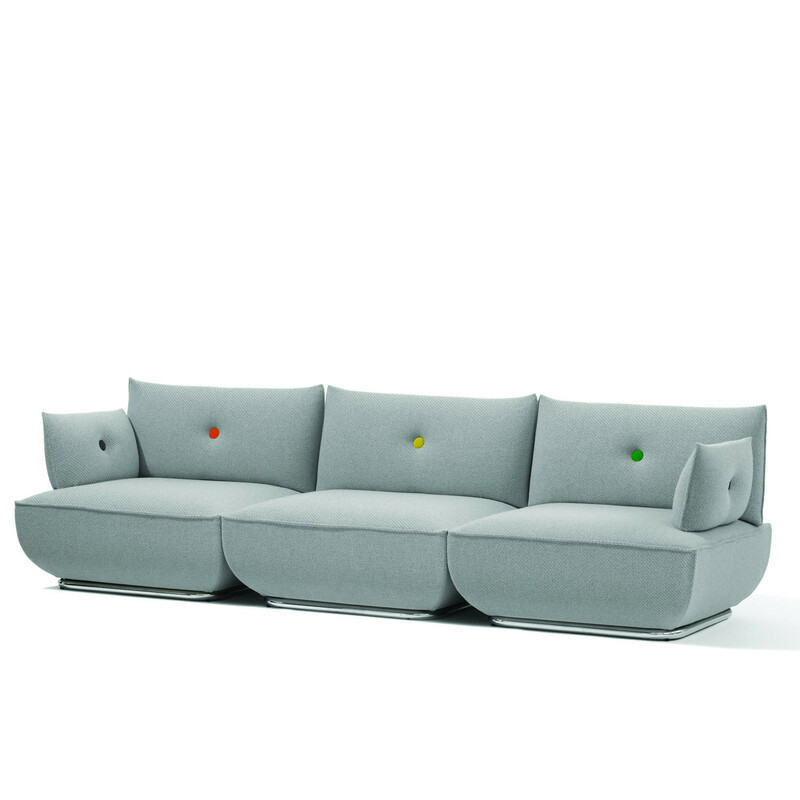 Dunder Sofa S60 is a modular sofa and easy-chair soft seating range, containing one corner, one left, one right, one middle section and one footstool. 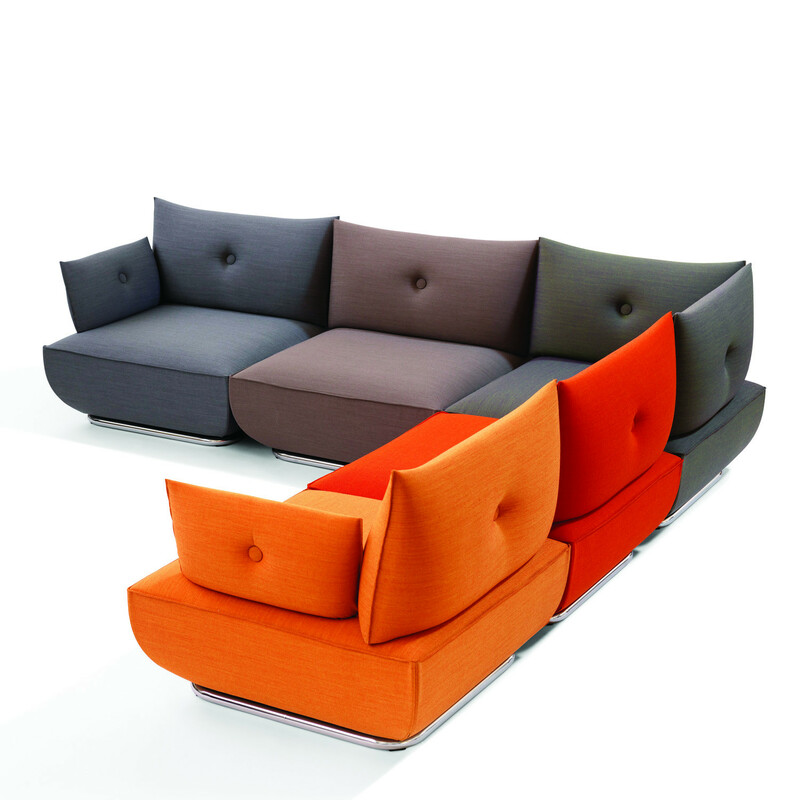 Together they can be used linked or as freestanding sofa units. 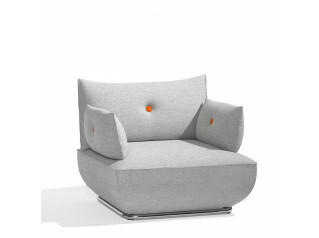 Innerframe of steel, pading of moulded polyurethane, down filling. Covered with fabric or leather. 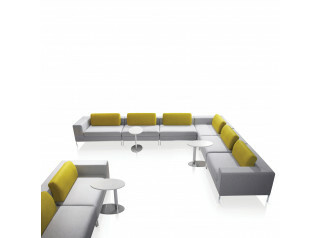 Ideal for office breakout areas, Dunder Sofa is perfect for reception areas as well as modern corporate lounges and open plan waiting areas. 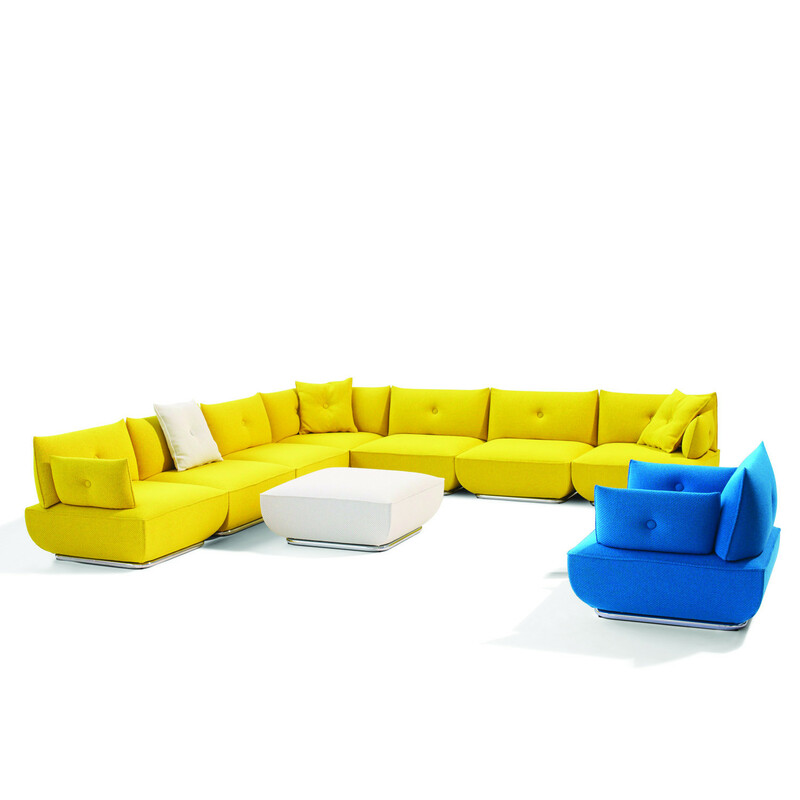 With its sectional seating functionality, Dunder Corner Sofa can be configured as you wish, to meet your requirements, however big or small. 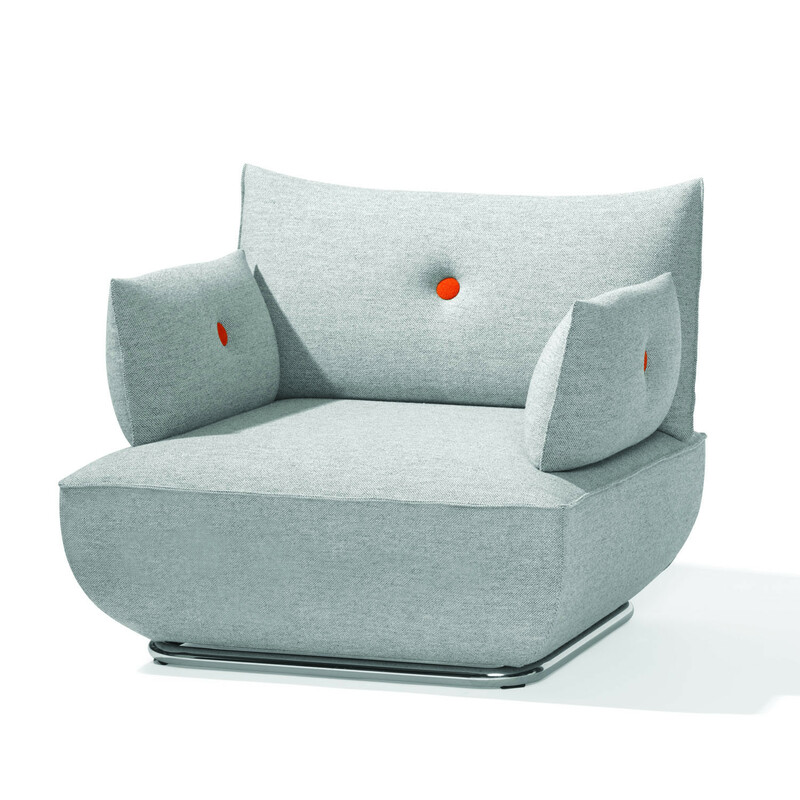 Stefan Borselius designed Dunder Sofa S60 with armrests that look like cushions suspended perpendicularly at the ends. 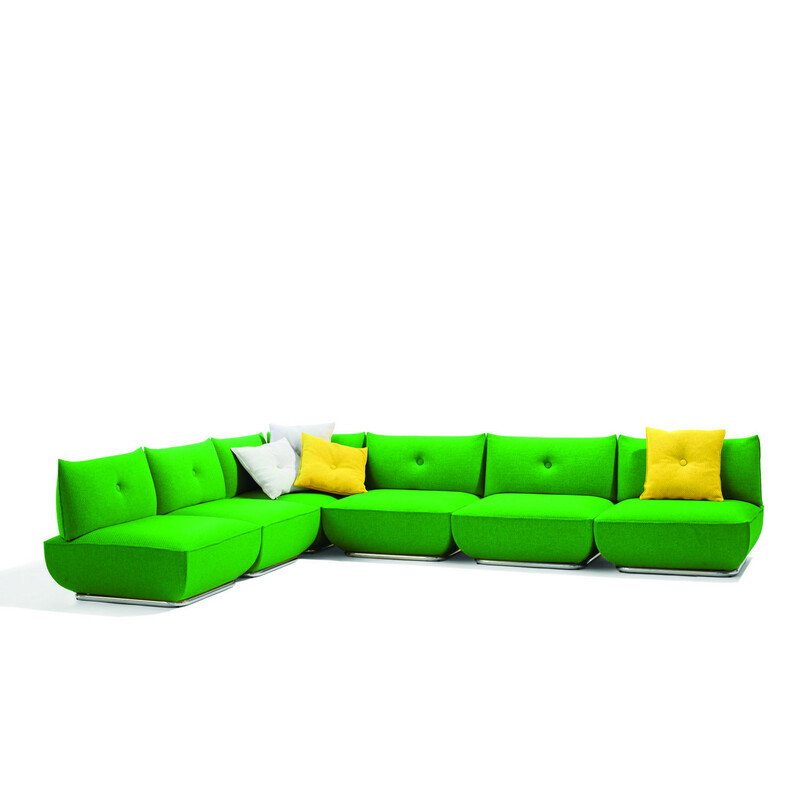 A stylish aesthetic for any environment. Steel frame with no-sag springs. 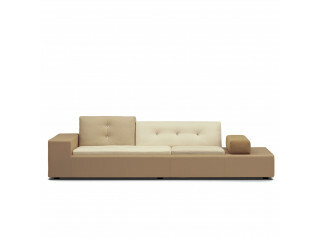 Moulded polyurethane with fabric or leather cover. Chromed underframe. Plastic feet. 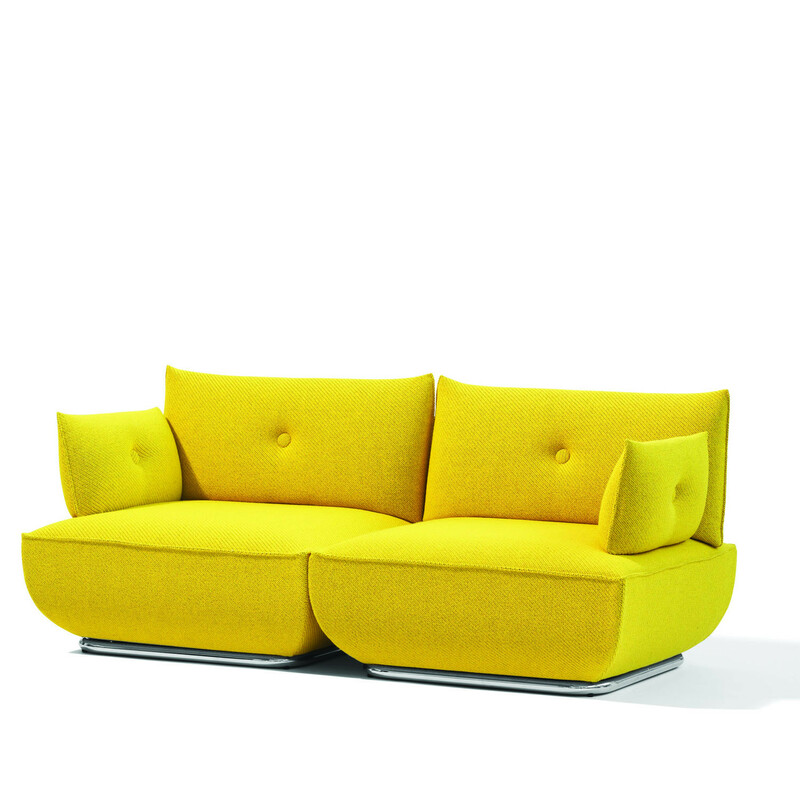 You are requesting a price for the "Dunder Sofa S60"
To create a new project and add "Dunder Sofa S60" to it please click the button below. 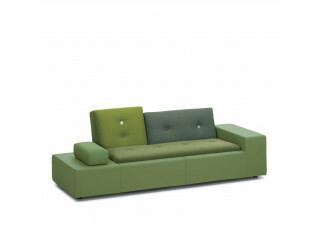 To add "Dunder Sofa S60" to an existing project please select below.